If you think I have a whole heap of groan-worthy plague puns just waiting for the right moment, you’re correct. Since leaving Norway and returning to Milwaukee earlier this month, I’ve been busy on a number of fronts, including getting ready for the official intergalactic launch of Plaguewalker on Friday, 26 October, at Boswell Book Company (the link will take you to Boswell’s general upcoming events page. Check it out. They bring in a wealth of great authors from near and far). Part of that includes doing press, something I have discovered I don’t particularly enjoy. Like Marcus, I’m an introvert who prefers to do my work quietly, without fanfare. Also, like Marcus, I prefer to be the one asking the questions. 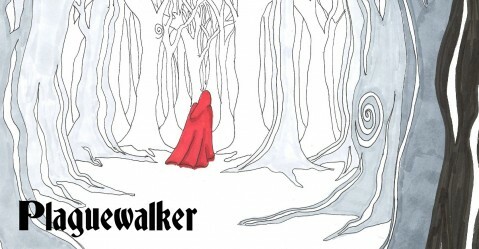 That said, much thanks are in order to a number of media outlets that are covering Plaguewalker‘s launch. I’ll post links as they become available but, if you’re in Milwaukee airspace, so to speak, please tune in to WUWM (89.7 FM) and its Lake Effect program at 10 a.m. Monday, 22 October. My segment isn’t scheduled to air until the second half of the program, but as a longtime Lake Effect listener, I can promise you the whole show will be intelligent and entertaining. It was a strange experience, after years of listening to and loving the show, to be sitting in the studio–an actual, serious radio studio–for the taping yesterday, but Stephanie is great at her job and made me feel comfortable. I do worry that I seem like a crazy person when I start talking about the voices in my head, but she promised to make me sound good. It should be available online if you can’t catch it Monday morning; I’ll post that link as well. I hope to see you either at Boswell next Friday or the following day, when I share billing with award-winning author Paul McComas at a Halloweeny author reading at Wauwatosa Public Library (I’ll post their link when it’s live). But if you’re not in the area, you can still catch the plague (ahem). The awesome folks at Boswell (they are incredibly supportive of local authors) will get you a signed copy of the novel if you order it in advance (before 25 October) here. This is important: when you get to the checkout page that asks for your billing and mailing address, you’ll see an “Order Comments” box. Please indicate that you want me to sign the book, and specify any particular inscription you’d like me to use when personalizing your copy (within reason! ).